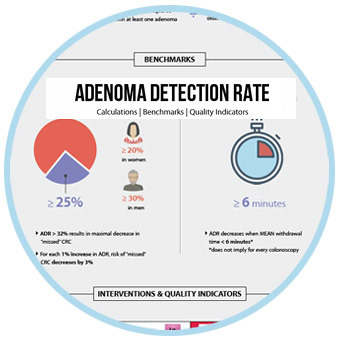 2019 ADENOMA DETECTION RATE CALCULATION INFOGRAPHIC. This Infographic will help you calculate ADR, understand industry benchmarks and quality indicators. ‣ Prepare for value based reimbursements using quality indicators.